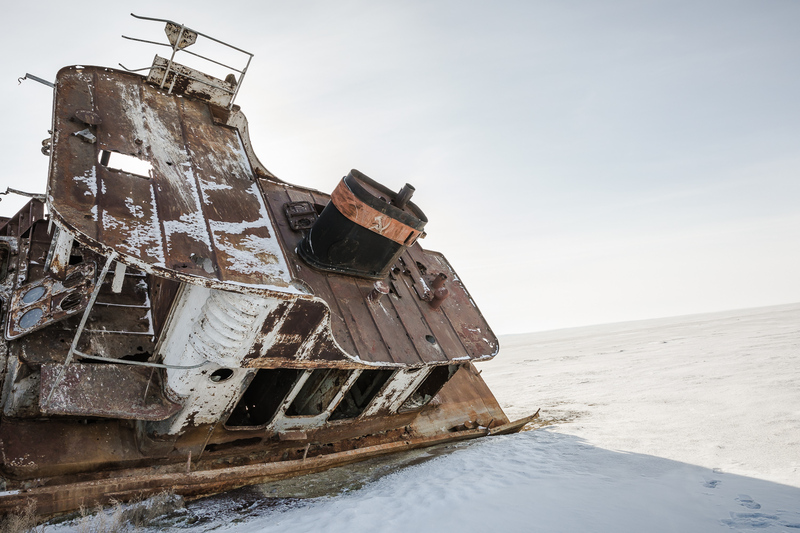 The Aral Sea is a lake that was once the fourth largest in the world. 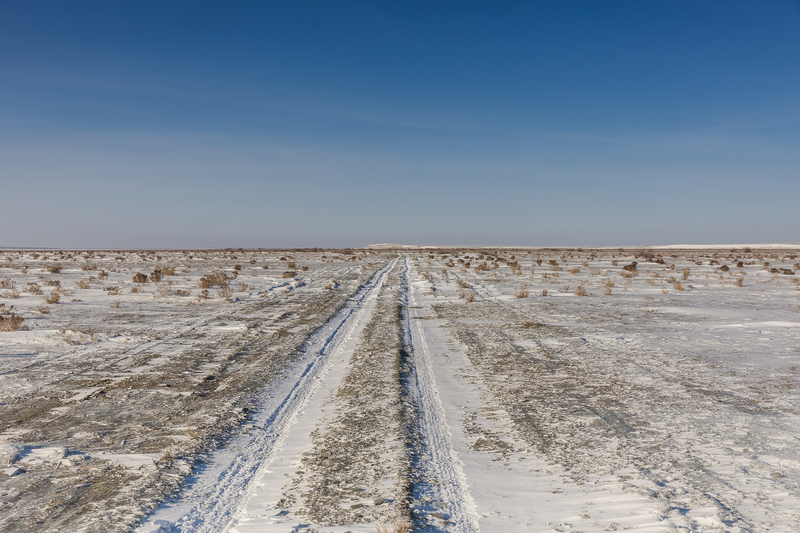 It hasno outflow andis located between Kazakhstan and Uzbekistan in the former Soviet Union. 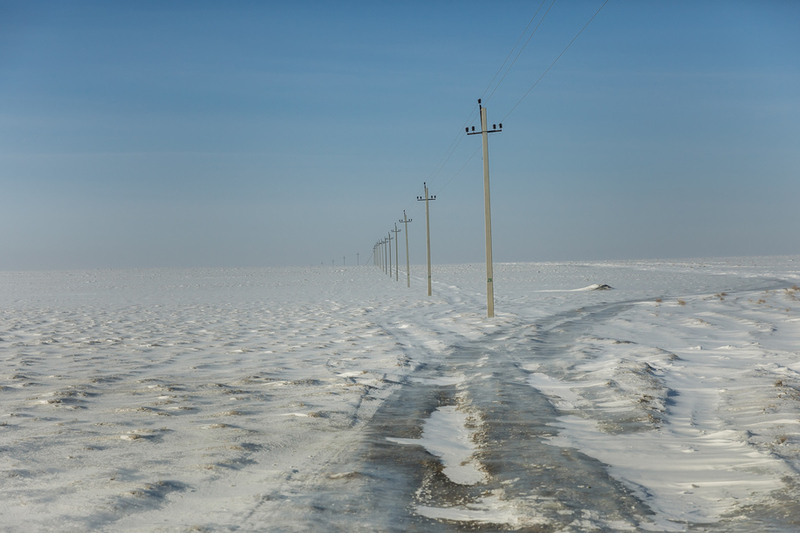 Ithas been shrinking since the sixties after the rivers that supply it were diverted for Soviet irrigation projects for Uzbek farmlands and cotton plantations. 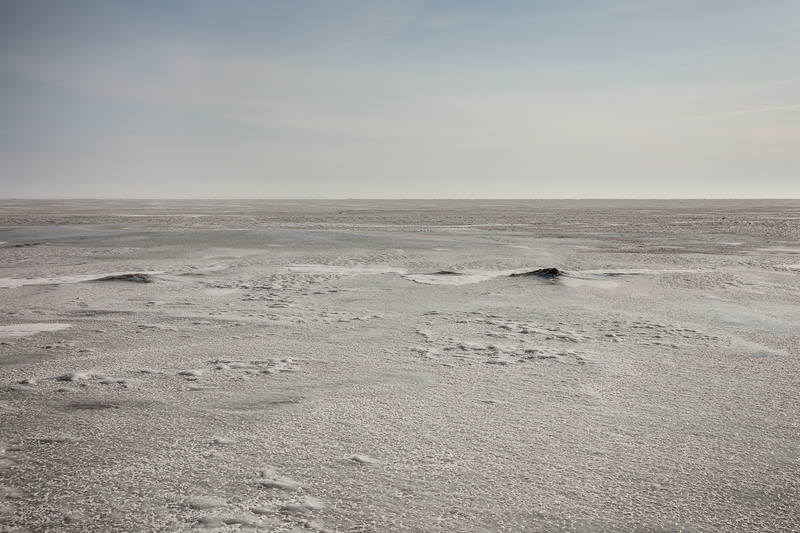 By the end of the 20th century, the Aral Sea had declined to 10% of its original size dividing it in small patches of water and ever increasing dried up desert stretches. 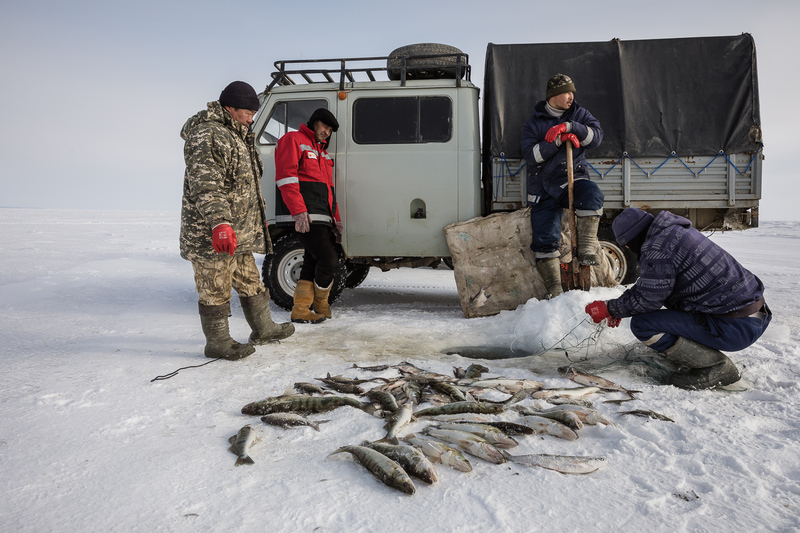 In an effort to replenish the North Aral Sea and revive a decimated fishing industry, Kazakhstan has completed a dam project in 2005.Water levels have started to rise and salinity decreased, making fishing viable again and attracting more and more people from surrounding areas again. 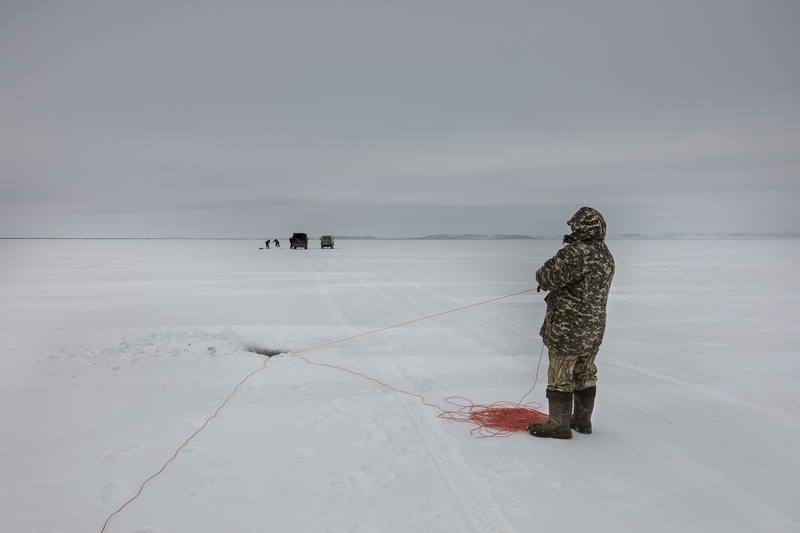 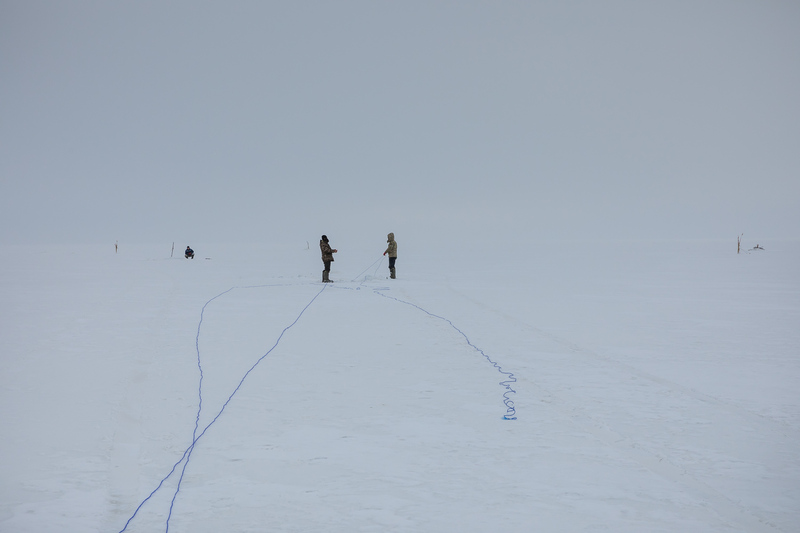 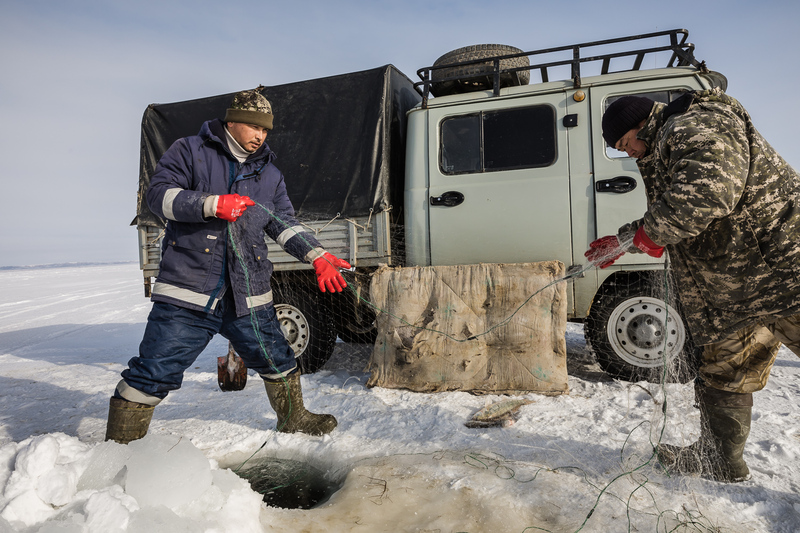 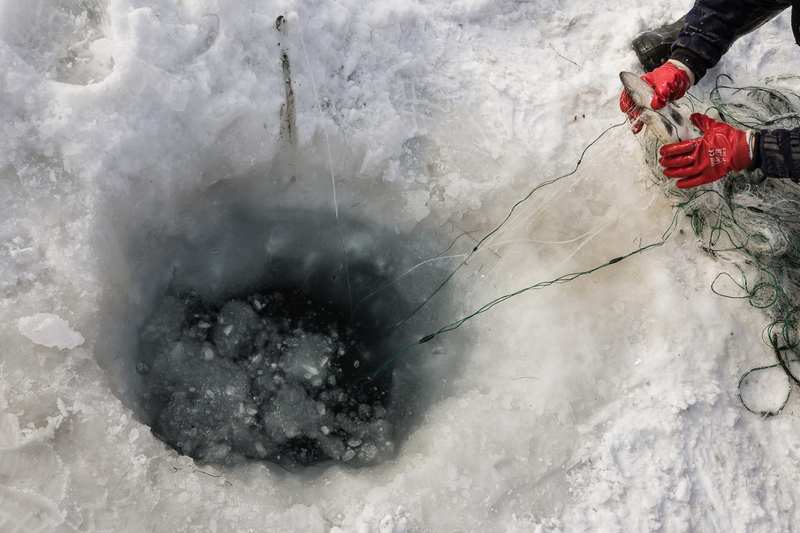 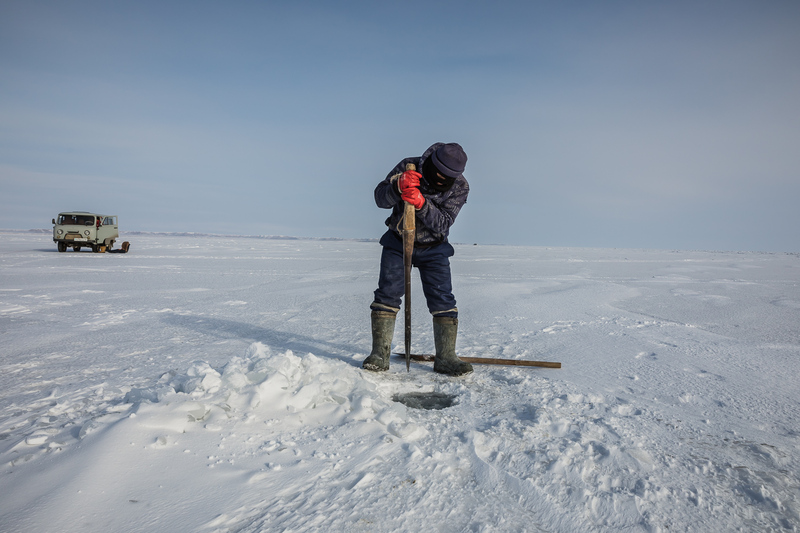 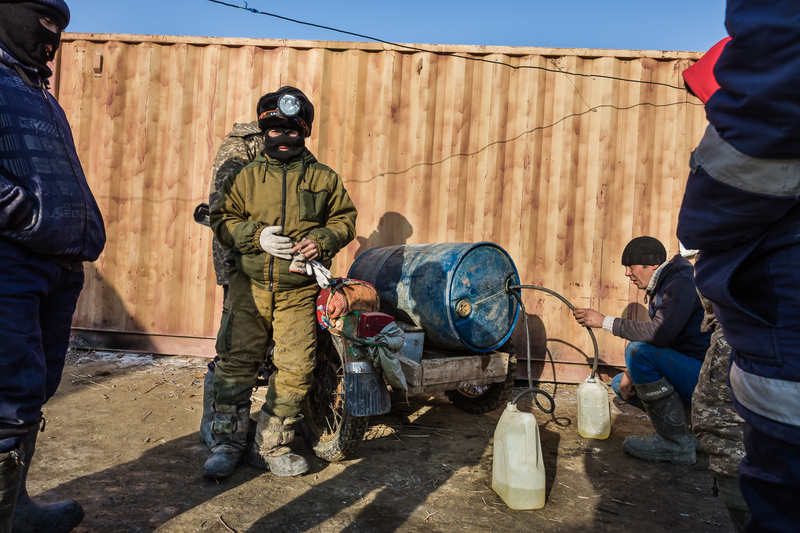 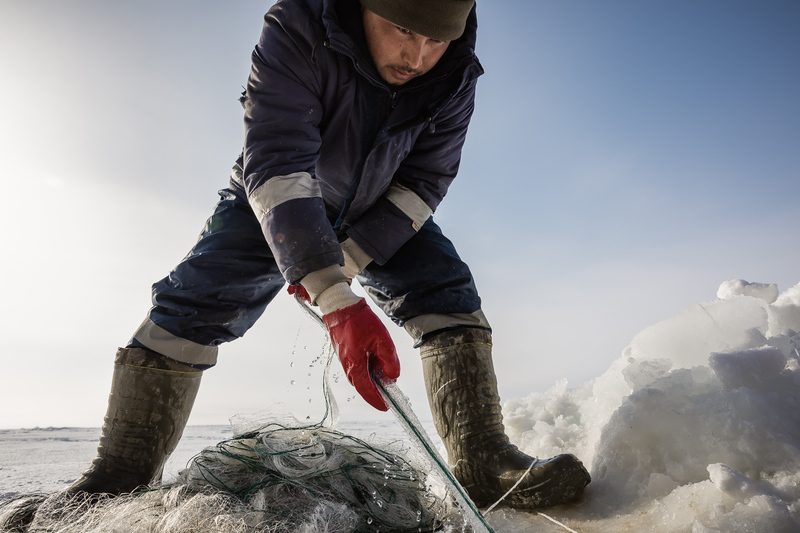 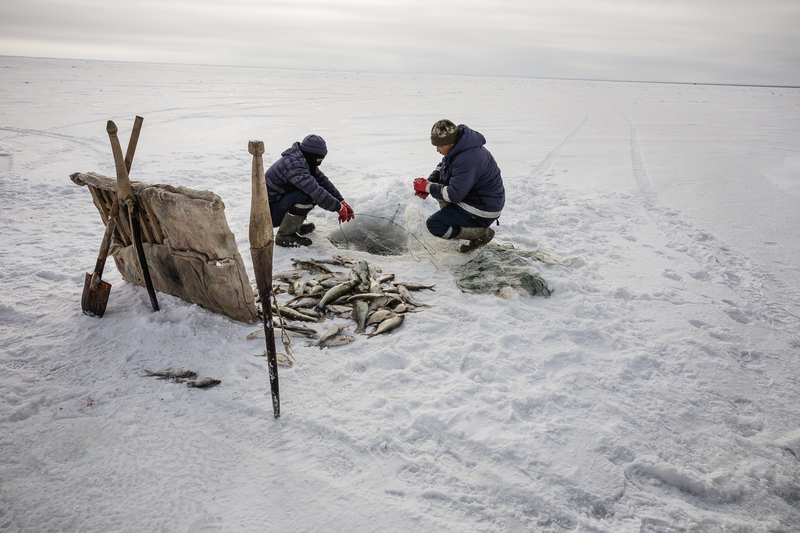 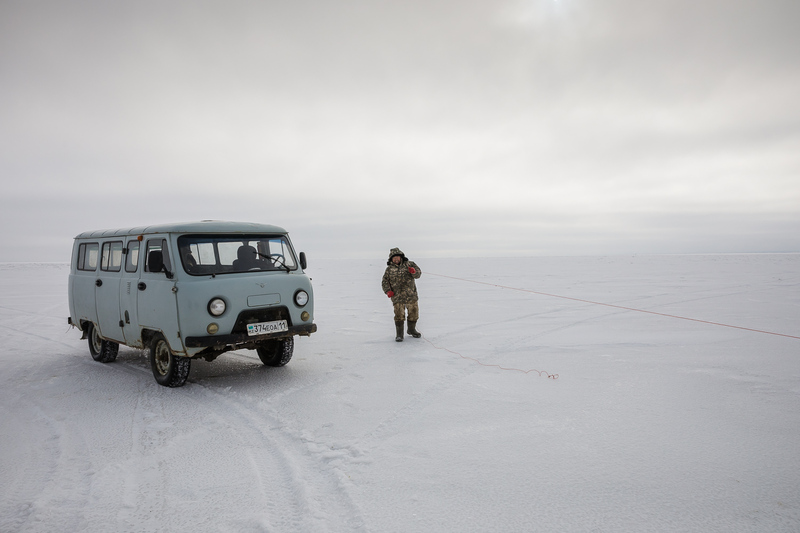 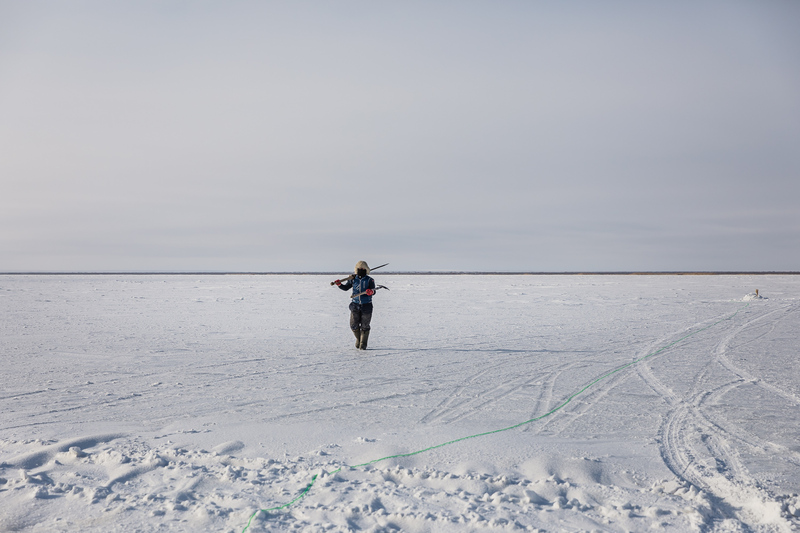 During the harsh winter, fishermen stay for periods of 3 months on the frozen lake and come from places well beyond the Aral Sea villages. 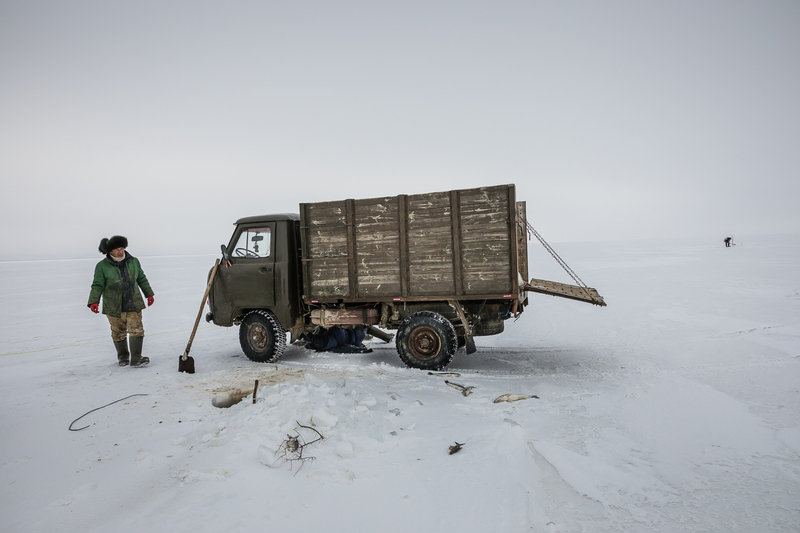 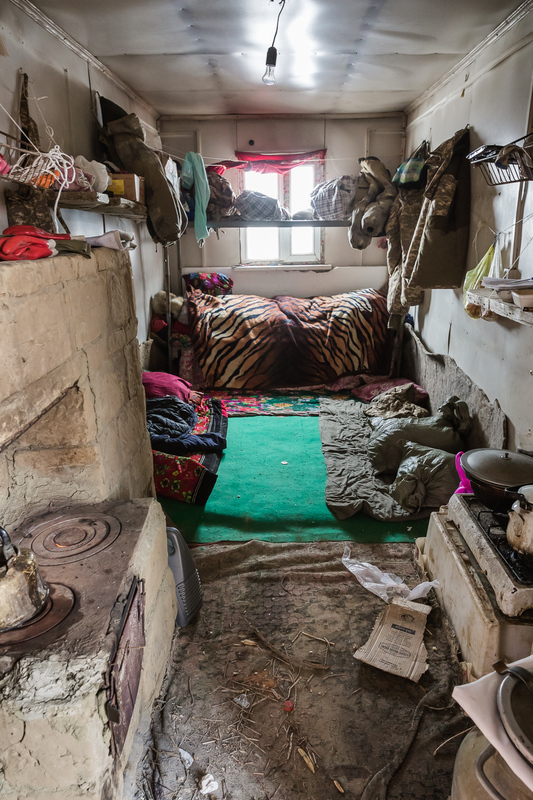 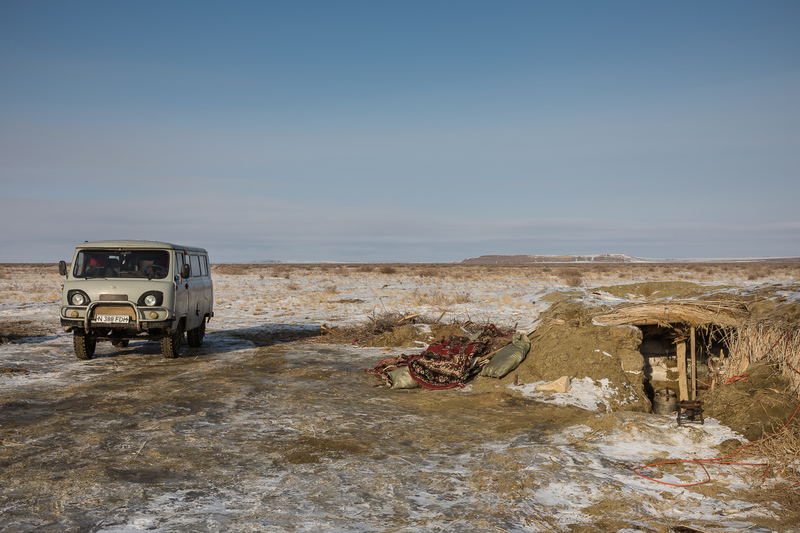 What has often been called as one of the worst environmental disasters is slowly experiencing a modest revival for the population of the remote North Aral Sea villages in Kazakhstan. 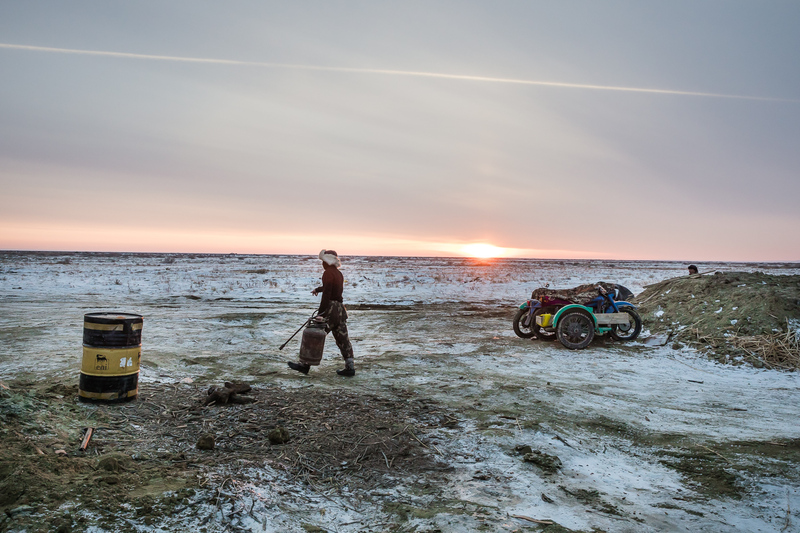 The Aral Sea, bordering Kazakhstan and Uzbekistan, has been shrinking since the sixties after the rivers that supply it were diverted for Soviet irrigation projects. 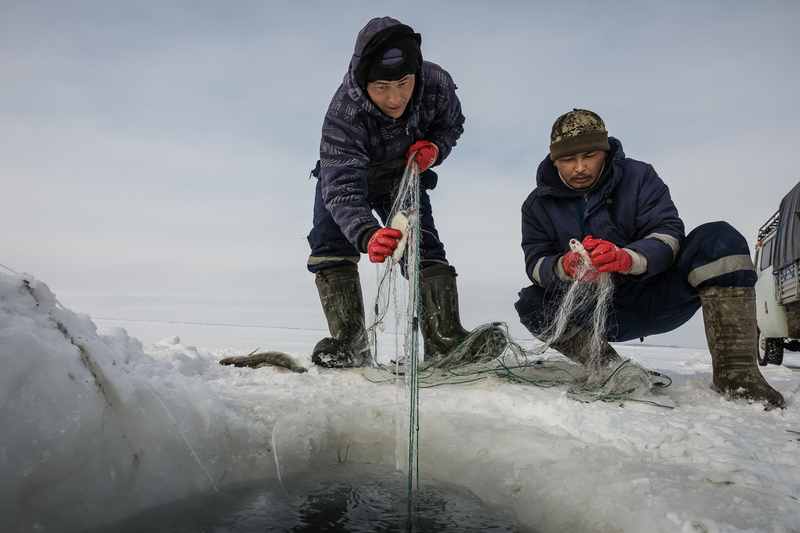 In an effort to revive a decimated fishing industry, Kazakhstan has completed a dam project in 2005 making fishing viable again and attracting more and more people from surrounding areas.